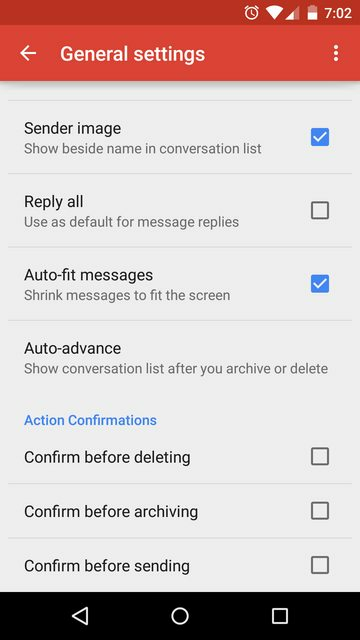 Apologize if this is a repost but is this "Auto-fit Messages" option a new feature baked into 5.0 Android Gmail - which is essentially the new native mail app? Don't think it's new, I'm on 4.4.2 and I remember seeing this a while back (could be mistaken). All it does it auto scale the view of the email down to fit your screen, instead of opening it at full size and making you zoom out. Nothing to do with responsiveness from what I can see, unless the magic approach (no media query responsive email in Gmail) I have seen people talking about, would work with this unchecked...? It's a default setting in Android Gmail (it has been for awhile). It basically resizes things to fit the screen as best it can.